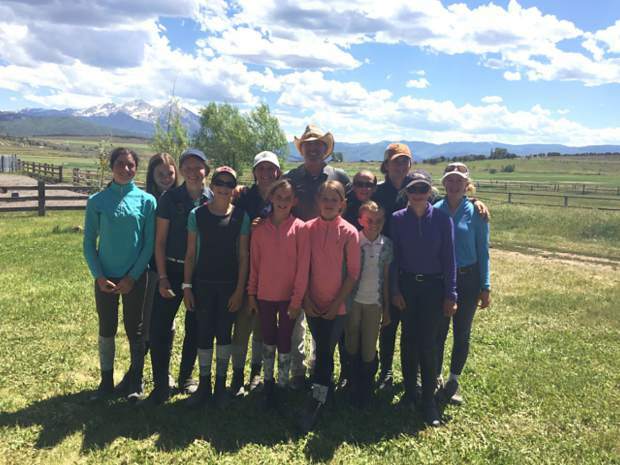 Olympic coach Daniel Stewart and RFH Pony Club at Strang Ranch. Ruby Walker mounts her pony for Strang Horse Show. Working Equitation coach Maree McAteer sets up course. Martha McCoy spears the ring on bull obstacle. Allison Dechant Nimmo on Beau Liberty, owned by Lisa Haisfield of Aspen, at the Open Prix St. George championship at Region 5 and RMDS Championships at the Colorado Horse Park in September 2017. Sophie Mueller rides dressage test. 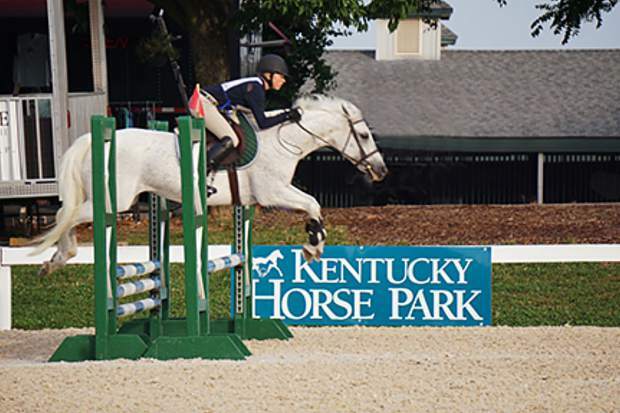 Callista Smith jumping Rose at the Kentucky Horse Park in Lexington at the Pony Club National Finals. 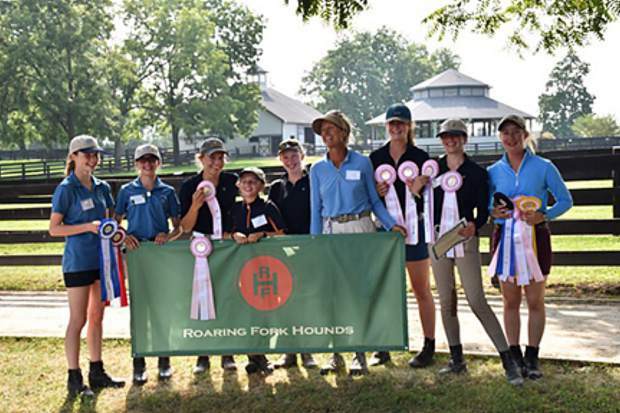 Bridget Strang and RFH Pony Club won fifth place in National Pony Club Finals at Kentucky. The 40 miles of highway between Glenwood Springs and Aspen offer all sort of iconic Western vistas: mountains (of course), ranches, grazing cattle and, perhaps most Western of all, horses. Hundreds of horses. Shaggy or sleek, fat or conditioned. Thoroughbreds, warmbloods, quarter horses, Tennessee walkers, Morgans. Ponies of all shapes and colors. And, as well as horses, the Roaring Fork Valley is exploding with horse activities. From classical dressage, Pony Club, hunter-jumper show jumping, cross-country jumping, working equitation, rodeo and Polo, there is an equine event for everyone. Rodeo may be the most “Western” of those activities, but let’s focus for now on the large, strong and historic English-riding community. 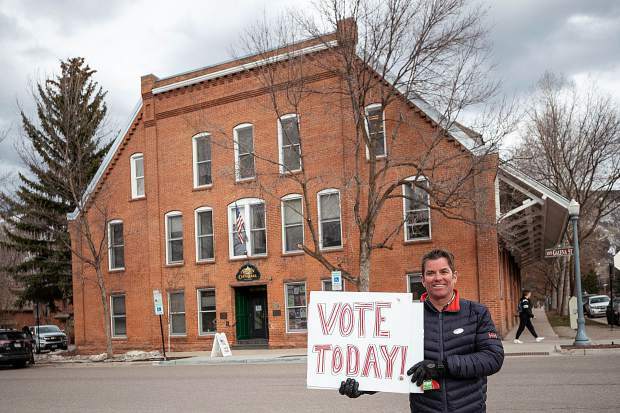 From the time the silver miners set claim to Aspen, horses pulled the wagons and carts that settled this Western town. 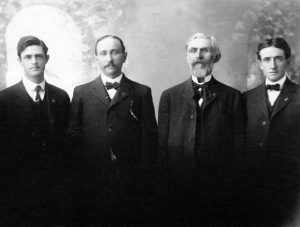 The Devereux brothers, Walter and Lyle, who helped bring electricity to Aspen and built the Hotel Colorado and Glenwood Hot Springs Spa, taught ranchers how to swing a polo mallet in the late 1890s. Soon the ranchers were hooked and played alongside gentlemen from the East in polo matches on fields cultivated by the Devereux brothers. From those beginnings, English riding has flourished. According to Barbara McElnea, past president of the Western Colorado Chapter Rocky Mountain Dressage Society (WCC-RMDS), dressage has been practiced in the valley for many decades. Among the founders of WCC-RMDS are accomplished local horsewomen: Sue Pietrzak of Emma, Sally Schaffer, who long lived in the valley and is in Utah, Sandy Smith of Carbondale and the late Trudy Peet, who lived in Missouri Heights, competed 1972 Dressage Olympic Trials. “Classical dressage evolved from cavalry movements and training for the battlefield,” McElnea said. “It has since developed into the competitive dressage seen today, including a musical freestyle wherein the rider and horse perform ballet-like movements to music. Thanks to McElnea, who lives in Missouri Heights, and WCC-RMDS dressage in our valley is affordable to amateurs, including children, with an entry fee of only $20 to be judged and schooled by knowledgeable trainers and experts in dressage. There are a range of dressage events the WCC-RMDS committee is currently planning for the summer. 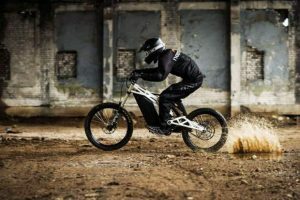 These activities are tailored for riders from the beginner to the most advanced and professional levels. Events include the Summer Schooling Show Series for riders who are looking for instruction and guidance in the discipline of dressage. The first is set for Strang Ranch on June 13. Monthly Schooling Shows will follow at other ranches in the valley. The Colorado West Hunter-Jumper Association has a packed schedule of horse shows, horse trials and other events planned for this summer. 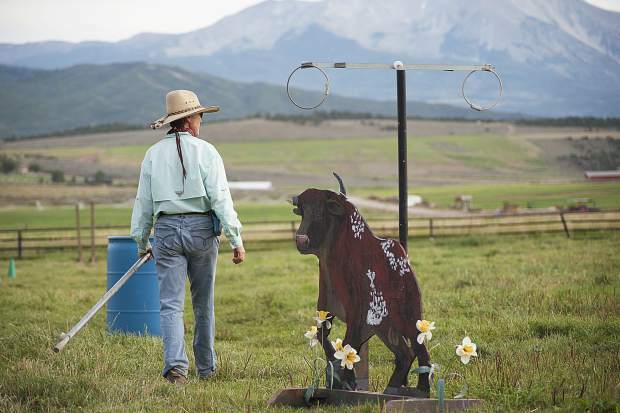 The season kicks off April 28 at Cozy Point Ranch on Highway 82 at Brush Creek Road. 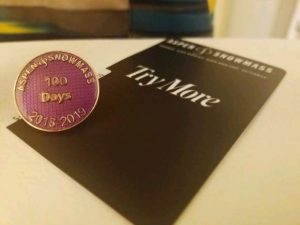 The event is organized by Lisa Flynn, a local trainer. 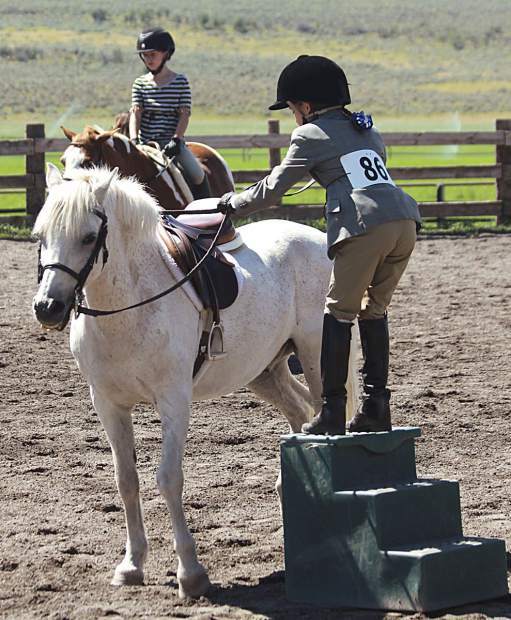 On Mother’s Day (May 13), Crystal Springs Ranch will host the season’s second horse show, a benefit for the Roaring Fork Hound Pony Club. Crystal Springs Ranch is located in Missouri Heights. 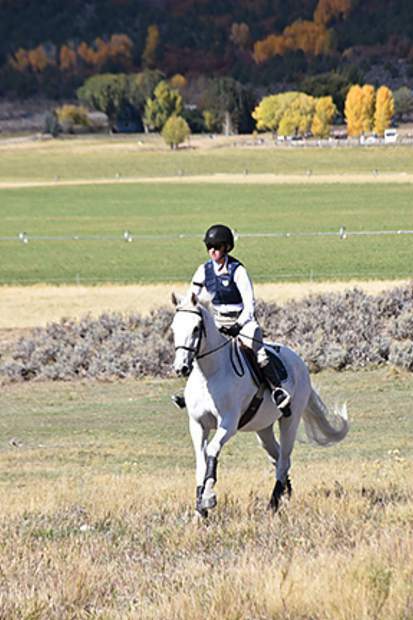 The Strang Ranch in Missouri Heights will host the majority of the Roaring Fork Valley horse shows and horse trials, including cross-country events. Bridget Strang, who instructs at the Strang Ranch, has ridden four horses at the Grand Prix level, the highest stage of competitive riding. 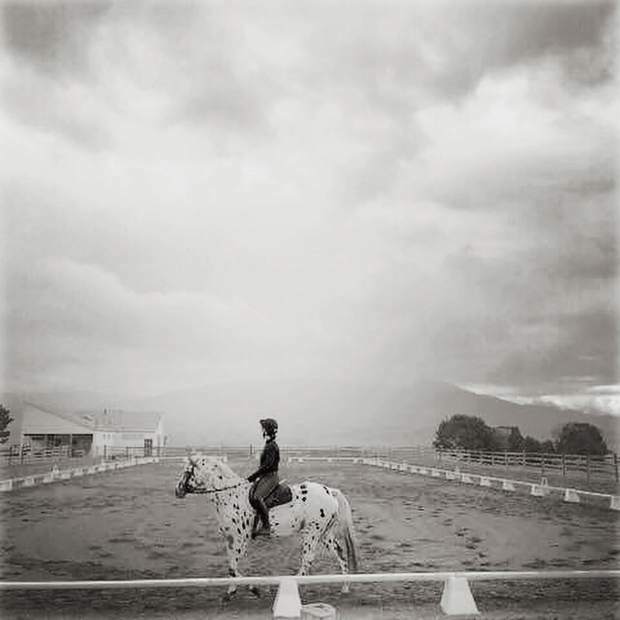 The Roaring Fork Hounds Pony Club was founded in the early 1970s. John Wendt, the master of the Roaring Fork Hounds, decided that the junior members of the hunt should master the basics of horsemanship and riding in order to become secure riders in the field. Valley legends Kit Strang and Heather Tharp were the original instructors. Valery Kelly, who is the current District Commissioner of the Pony Club, said the mission of today’s Pony Club is to develop good horsemanship — including a strong foundation in horse management and care of one’s mount. The children learn from experts in the field. They typically have mounted lessons from Strang (an A-rated Pony Clubber herself), but also have expert instruction in barn management and equine care. Stewart — who also runs rider conditioning clinics at Colorado Springs Olympic Center — coaches riders in his techniques for “pressure proofing” them as competitors. Kelly, a freshman at Colorado Rocky Mountain School, is among the five Pony Club riders who went to Lexington, Kentucky, last year and came home with fifth place in national competitions. There are 14 active members in Pony Club ranging in age from 8 to 17, though Pony Clubbers are eligible to the age of 25. All must have a suitable mount. Horses can be leased or privately owned. Parents need to commit to volunteer in the organization at many events ranging from Polo Cross to horse shows to Pony Club rallies. Pony Club dues run $228 annually. Donations to this kids-based organization are tax-deductible. For more information on Pony Club contact Strang Ranch. The Strang Ranch working equitation class is staged in a paddock filled with a variety of brightly colored obstacles, some based on challenges that a rider might encounter when riding on a trail: opening and closing a gate, backing up through a short course, slaloming around trees (cones, actually) and jumping a hay bale. Some challenges are more technical, such as using a long pole to spear a ring on a spinning metal bull’s horns. The class is run by Maree McAteer, an internationally known horse trainer and endurance rider from New Zealand. Working equitation may not be a familiar term, even to many avid riders, but it is a growing discipline, gaining in popularity both as a form of training and as a field for friendly competition. It is a cross-discipline for rider and horse, incorporating dressage (from very simple routines to advanced tests) and riding fun obstacles. 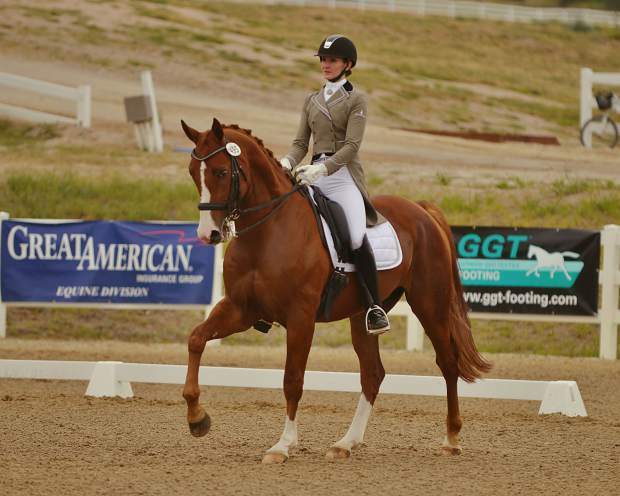 In a working equitation competition, riders and horses start with a dressage test. Then they move on to a scored “style test” of obstacles. The final phase is a timed score through the same obstacle course. Riders can compete in Western or English tack. 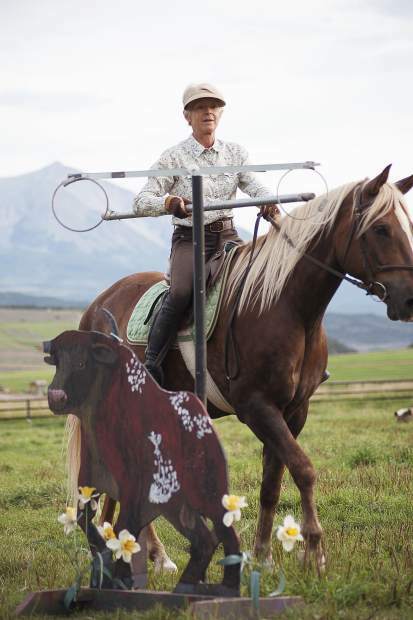 Group lessons at all levels are slated for Mondays this year with McAteer at Strang Ranch. Horse enthusiasts — whether they ride — can watch the Kentucky Derby at a benefit event for Windwalkers, a nonprofit organization that gives therapy through horses. 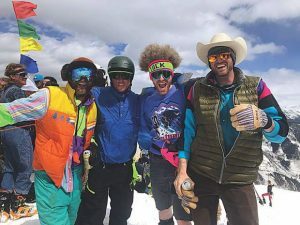 Hosted by the Roaring Fork Horse Council, the Derby Bash will be held at Holly McClain’s ranch on Missouri Heights on May 5 from 2 to 6 p.m. The party will include a silent auction, Southern-style cocktails, food and music. Tickets are $45 after April 25 or $50 at the door. Rumble Ridge is at 1844 Upper Cattle Creek Road. May 5 from 2 to 6 p.m. Those planning on attending can call Windwalkers at 970-963-2909 or email gabrielle@windwalkerstrc.org to reserve a ticket. Windwalkers is an equine assisted learning and therapy center. Whether the challenge be physical, neurological, emotional or psychological, Gabrielle Noelle Greeves and her staff integrate riding and equestrian activities to help individuals in a family-centered approach.